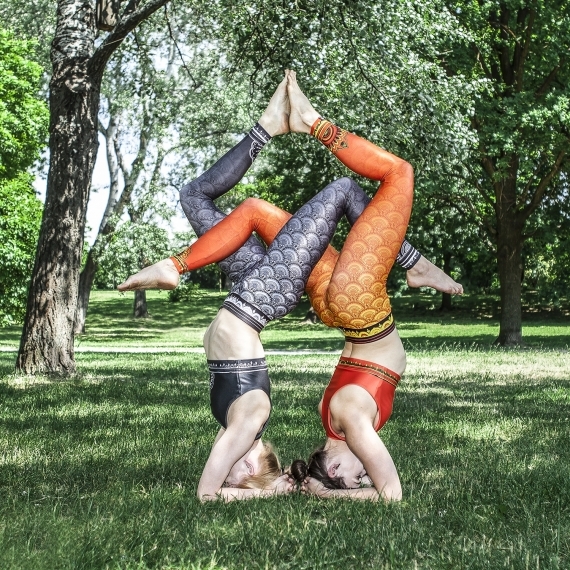 These elastic leggings are suited for every kind of sports activity. They are made of extraordinarily soft fabric so that wearing them is a pleasure in itself. Thanks to using outside seams the leggings gain better durability and your skin isn’t vulnerable to irritations. The non-pressure band with sewn in elastic guarantees a good fit even when doing the most incredible aerobic exercises. The author of this unique design is a known Polish tattoo artist – Agnieszka Kulińska – who often gets inspired by ethnic artwork. The mysterious name “Merdeka” means “freedom” in Javanese and to us it’s irrevocably connected with sport. 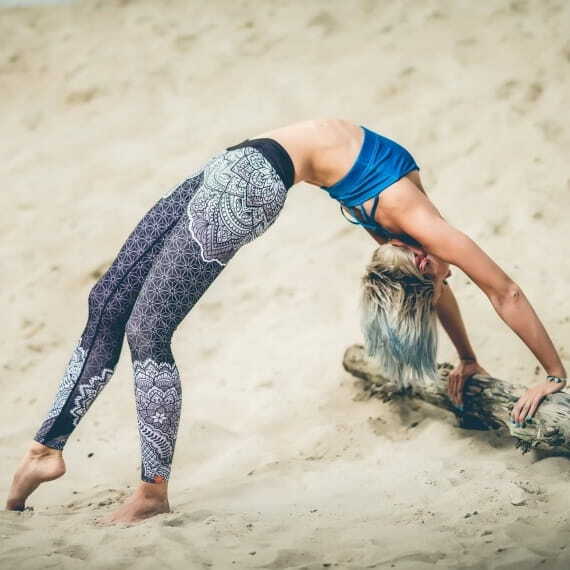 The leggings are available in two colour combinations: black & white and blue with a black & white print. Great leggings. He is comfortable with a high broad band. He breathes well so he not sweaty. The color of my leggings is slightly lighter than the one on the photo looks like. Phenomenally beautiful! Legging with mandala are available in two color version. The same design, depending on color, emphasize different traits of your personality. The choice is yours!One thing is sure: second you leggings are like second skin. You nearly won't feel, that you wear them, even during intensive exercises. You will forget about them during your training, they just feel like second skin. The built-in socks will take care of your thermal comfort and feet protection wherever you're wearing them: also during pilates or yoga.